FMS is still smarting under perceived slights from InsideIIM last year. They said they have taken a unanimous decision not to have any relationship with InsideIIM. They said that in our reporting, we have been biased against FMS and favoured IIM L and XLRI. We would like to once again reiterate that we are not biased in favour of any B school. Our placement reports always focus on the achievements and the positive aspects of the placement season. Our other research like alumni reports also does not discriminate against B schools. Our portal sees more enthusiastic participation from some B schools than others, but that is not in our hands. We certainly hope they would change their mind at some point, and start co-operating with us. Without their co-operation, we are left with little option but to look for information from public sources. We introduce this report with the caveat that the data is not verified, and readers are requested to act with caution while making decisions based on this information. The names in banking and finance include Standard Chartered, HSBC, Citibank, Deutsche Bank , Bank of America, American Express, Nomura, JP Morgan, Royal Bank of Scotland, Axis Bank, ICICI Bank, SBI Capital Markets, HDFC Bank, IndusInd Bank, ING Vysya, Indus Balaji. Many among these are corporate/transaction banking roles. Nomura and JP Morgan have offered middle office roles. Indus Balaji, a private equity firm, participated in the process. We do not know whether they hired. The report on FMS’ website states that a number of front-end investment banking roles were offered, but there aren’t too many bulge bracket investment banks offering these roles in FMS. Corporate finance profiles were also offered by some companies outside financial services, including Nestle, Coca-Cola, and Nielsen (marketing companies) and Matrimony.com (a technology startup). The list of firms in management consulting includes BCG (hired through batch day), Accenture Strategy, Deloitte, and Avalon consulting. Roles in IT consulting and process consulting were offered at Infosys Management Consulting, Cognizant Business Consulting, Capgemini Consulting, Genpact, Mindtree, HCL, TCS, Aricent. Bain Capability Centre (a research centre for Bain Consulting) also recruited from FMS. In management consulting, the list of recruiters has three big names – BCG, Accenture Strategy and Deloitte. McKinsey and BCG conducted a batch day process for FMS students. This is a pretty impressive line-up, comprising names like Tata Administrative Services, Reliance Industries, Mahindra & Mahindra, Larsen & Toubro, Trident, and Airtel. GE recruited for its IT leadership programme. Other recruiters in this space include Jindal Steel and Power, and Videocon. In other words, access to the best roles from Indian general management firms is available to students of FMS. FMS has a reputation for being one of the best campuses for marketing in India. And this is reflected in the performance of FMS in the FMCG domain. Recruiters include HUL, P&G, ITC, Perfetti, Pepsi Co, Adidas, Wipro Consumer, Maruti, J&J Consumer, Asian Paints, GSK, Godrej, Dabur, Mars, Lóreal, Titan. International offers: MS Alshaya and Tata Elexi made international offers. This list is impressive, with three global technology behemoths, along with a number of hot startups. The technology firms include Google, Microsoft, and Samsung. Telecom companies include Vodafone and Airtel. Tech startups include Zomato, Jabong and Flipkart and Info-Edge (which is now no longer a startup). As mentioned earlier, Matrimony.com also recruited from FMS (earlier stated under corporate finance roles). The list of names in media is long and impressive – it includes Times OOH, SET, Zee, Hindustan Times and Star TV. Cipla and Ranbaxy were the two main names among pharmaceutical companies. 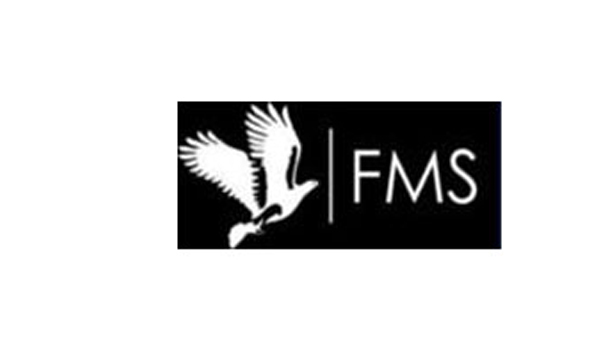 The list of companies indicates that FMS had an extremely strong performance in General Management, Marketing and Media. These are three areas where FMS stands out. In other areas like technology, finance and consulting, it had good opportunities – given the batch size of around 220 students. Considering the fees for the course, (roughly Rs. 70,000 for a two year course), FMS is truly one of the best MBA colleges in India in terms of ROI. – One third of the batch will work in the marketing function. This is actually lower than last year, when nearly 40% of the batch picked up marketing roles. – One fifth of the batch will work in finance, followed by 18% in consulting and 13% in general management. The percentages for finance and consulting have been reversed compared to last year. – 38 students had pre-placement offers according to FMS’ placement report on its website. This amounts to a 17% PPO rate, which may be higher than the average for all B schools, but is lower than XLRI (32%) in 2014. – 60 lateral offers were made – this means that a total of 100 students, (nearly 45% of the batch) already had a job in hand before final placements. We would again like to reiterate that this report is based on unverified data, and users are advised to verify the details on their own before taking any decision based on the information in this report. All articles about IIM Indore are written by IIM Indore Media Committee. Please read more about our self-publish option. By the way, the maximum articles on this portal are by IIM Calcutta. No one has stopped FMS Media Committee to publish any story about FMS. They just refuse to do so. We are not trying to appease anyone. FMS participation is welcome. But that doesn’t mean we hide the fact that your placement committee lies blatantly. What an act of immatureness? There is an unverified guy who says he/she is from FMS and used some rough words and how do you reply? Now this guy can be from IIMI or L or XL, just to screw the relationship b/w FMS and Team Inside IIM. Now did you get why don’t we (FMS) want to carry forward with the relationship with you.? We can. @Jatin Mehra – rs47 is Raghav Srinivasan from FMS. He is a regular commenter on our portal. Also, AK47 and Jatin Mehra are the same person. The whole point is anybody can make any email id, as you accept generic Gmail IDs. I thought you got my point, Deliberately I used the ID with my name to prove the point . If you want, I can make another email id with inside_iim_is_too_stubborn_to_accept_the_mistake@gmail.com to prove my point. Please do it. We also have your ip address – 112.196.139.190 which is Noida – hometown of Mr.Jatin Mehra. We have a few more details but we do not wish to embarass you or your institute any further. However, if this behaviour continues we may do that too. Please note that these comments are being read by campus hiring teams of many top companies in India. Final warning to Mr. Jatin Mehra from FMS Delhi. Request you to stop frivolous discussions on this thread or both your ids – Jatin Mehra and AK47 will be blocked. The idea of the comments section is to get people to interact and exchange views and insights that make a difference to their career. Use TOR Jatin, you are leaving your IP address open ! As if InsideIIM is dying to publish the “verified” report. Caught red-handed and then shouting, speaks a lot about the maturity level. Seriously, at least use TOR or something like that if you want to con people. @rs47 – We do not make any random accusation without adequate proof. If someone were to take us to court, we ensure we have proof before anything is published under our name on this platform. Last May, FMS Delhi’s placement committee was found wanting when it came to reporting the truth. Your committee misled aspirants and companies. You cannot attract talent or recruiters to your campus by lying so blatantly. We can only REQUEST you to share accurate data. And we leave it there. @teaminsideiim – When you write things like “We have a few more details but we do not wish to embarass you or your institute any further. However, if this behaviour continues we may do that too”, you make FMS Delhi’s resolve to not associate with you stronger. This is exactly why the last two placement teams have wanted to keep their distance from insideiim. This kind of language from an official id is unwarranted, and almost amounts to a threat to the institute, in response to a comment from someone who is not a spokesperson of the institute or the placement team or in any other official capacity. We hope you will show some maturity in the future to sound remotely credible and a tad bit professional. @Team insideIIM I completely agree with vineet,how can u lament an institute by directly saying “Your committee misled aspirants and companies”,give us the proof..
Guys, are the accusations leveled by insideiim true? I was planning to withdraw from a top rated IIM and join FMS , if converted , mainly due to its ROI Should I give a second thought to it?